With the Firefly USB Light you can easily brighten the dark areas of your work space. Utilizing power from any USB source, including the Goal Zero Switch 8 or Guide 10 Plus Rechargers, this bendable light adjusts to any angle and quickly converts from flood light to task light with its removable cover. With the Firefly USB Light you can easily brighten the dark areas of your work space. 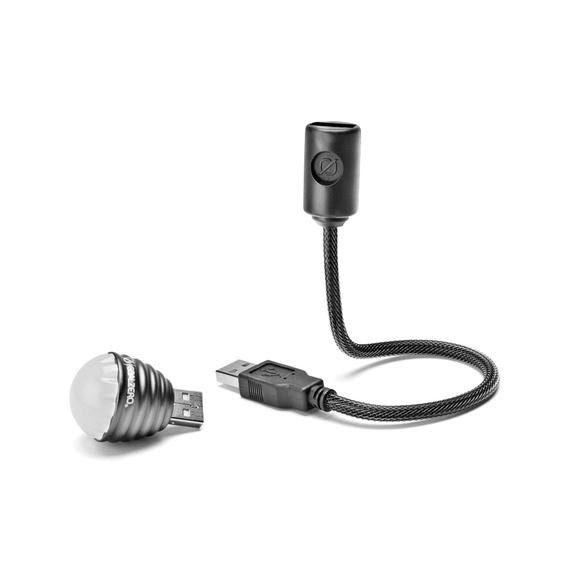 Utilizing power from any USB source, including the Goal Zero Switch 8 or Guide 10 Plus Rechargers, this bendable light adjusts to any angle and quickly converts from flood light to task light with its removable cover. Whether youÕre camping in the backcountry or searching for the missing screwdriver in the garage, let the Firefly light up your night.